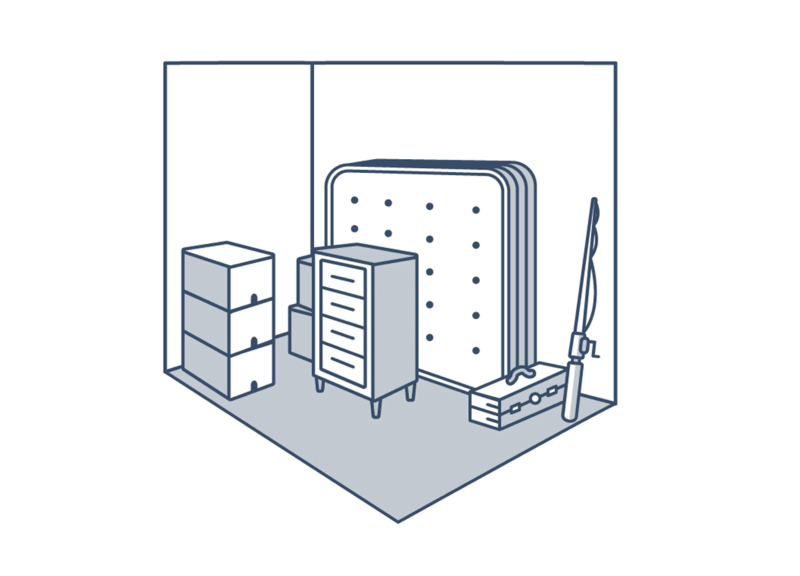 Unsure of what storage unit size you need? 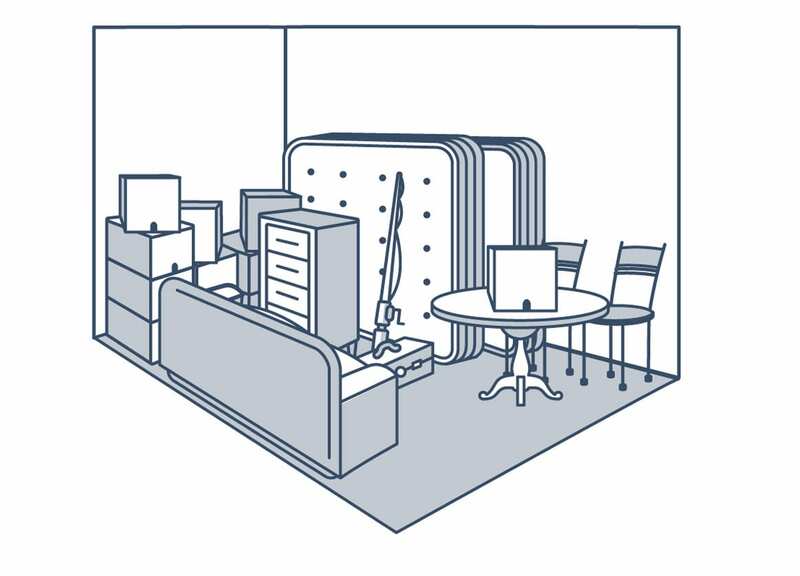 Compare storage sizes below to help you find the right fit. 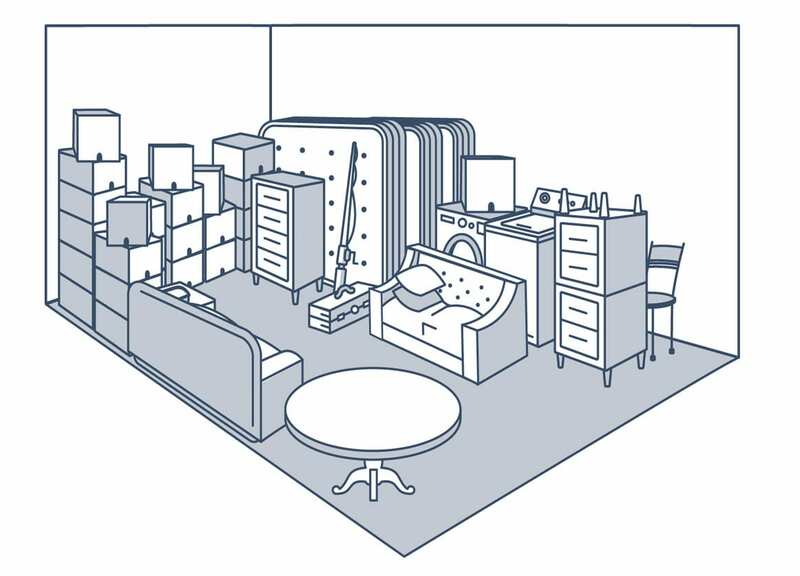 This space allows you to fit the contents of one room, along the lines of a mattress, nightstand, dresser and some boxes. Small units make great storage for seasonal items as well, and you can access them easily when it’s time to decorate. You can also fit your world’s largest stamp collection and secret pirate’s treasure chest in here, while you’re at it. For businesses just getting started or need a little more space, file storage and excess inventory fit perfectly in one of our small units. Medium-sized spaces are our most popular. They easily can hold a one or two bedroom apartment with mattresses, sofas, a dining table, chairs, etc. All of your boxes, including that one (or four) full of stuff you just can’t bring yourself to throw away, fit comfortably here too. For small business owners, this space can hold equipment, office furniture & inventory to keep your business nice and organized! Our large spaces are about the size of a one-car garage and can fit the contents of a three to five bedroom house, from bed frames, mattresses and sofas to large appliances like a washer and dryer, refrigerator and stove. This is also a great space to store a an antique car, a boat, your time machine, or lots and lots…and lots of boxes. For businesses, this is the ultimate entrepreneur unit, perfect for aisles of inventory, larger equipment and making your dreams come true!